Indeed it is. If greenhouse gas emissions continue at the current rate, our atmosphere will warm up by as much as 2.7 degrees Fahrenheit above preindustrial levels by 2040, flooding coastlines and intensifying droughts and poverty. That’s what the Intergovernmental Panel on Climate Change told the world last fall. Whether you live near the sugar maples and spruce-firs in Maine or Québec, we all face the same climate urgency. It’s hitting us already with increasing floods and abnormally hot summers. As the consequences of climate warming become more damaging, solutions to counter it need to be wide-ranging: using energy more efficiently at home and in our towns and cities; and an all-of-the-above approach with low-carbon energy sources, distributed generation, as well as large and regional collaborative initiatives. The New England Clean Energy Connect project is part of that vision: one region tapping into its neighbor’s vast network of low-carbon power in order to burn less fossil fuel and – together — make real progress in reducing greenhouse gases. Dam and spillway at the Toulnustouc development and Lake Sainte-Anne, which serves as the reservoir. Manic-2 development, showing the spillway and Jean-Lesage generating station. produce over 200 million megawatt hours of low-carbon energy. Do our hydropower projects have an impact on the environment? Yes, but we know what those impacts are, and over the 75 years of our company’s existence, we’ve learned how to limit them through innovative project design and mitigation measures. No biodiversity is lost. None. For more on that, see here. Opponents to the project also claim Hydro-Québec “could” shift its energy sales from New York to Massachusetts. This supposition has – through the work of “dark money and blurred alliances” – led to the claim that Hydro-Québec “will” be redirecting deliveries from one market to another. NECEC critics have crafted a series of messages around this concept and as such, they’re shooting at the only clean energy project with the magnitude to actually move the needle on the temperatures warming our forests, lakes and sea. Over the past 15 years, Hydro-Québec has added 13 generating stations to produce and deliver MORE clean energy. Half of these powerhouses have large reservoirs which have been filling up with increased water flow over the past years. Today, Hydro-Québec has surplus capacity to feed into its markets. Information on this has been provided to the Public Utilities Commission, and three independent experts have shown that NECEC will undoubtedly reduce carbon emissions by 3 million metric tons per year. 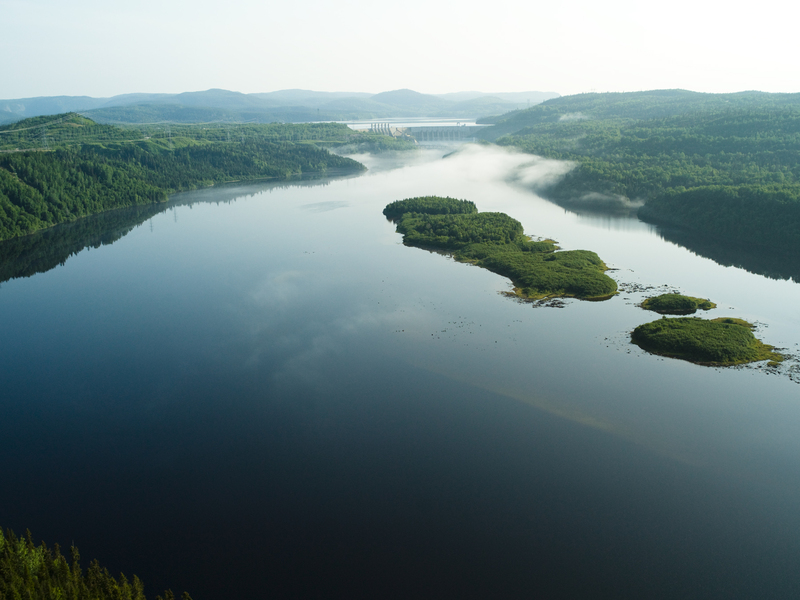 Other experts from Conservation Law Foundation, Acadia and the Union of Concerned Scientists support the project in light, among other benefits, of the project’s positive climate impact. These assessments and on-the-record reviews of NECEC’s climate impact doesn’t satisfy the project’s opponents – of course. What will? An additional study? If dark money and blurred alliances are indeed fuelling the opposition, they won’t accept anything short of having brown power win over clean energy. To everyone’s loss. The IPCC says we have 12 years to prevent devastating global warming. In less than five years from now, the NECEC can be delivering over 9 million megawatt hours of low-carbon energy into the New England grid, if granted the required permits, which has the same positive impact on the climate as removing about 800,000 cars from the roads. What are the opponents’ solutions? Run your cable down the Atlantic ocean to MA. Good article. Its nice to read an article not based on emotion. Im all for hydro power and the lines to distribute it. Most of the posters on the DB don't understand how electricity is distributed, hence the "its just for Massachusetts foolishness. The only problem I see with this article is the benefits to the climate claim. Anyone who looks at the facts knows that we can not beat mother nature. The climate was going to change with or without us. We contributed a little to the pace, but it was happening regardless. If we stopped all use of fossil fuels, parked all the cars and corked all the cows butts climate change would not stop. It would not reverse. We would have no effect. Bring on the Hydro power because its a good idea. But don't think its going to change the natural cycles of the earth. I would be for this project if it were not for being billed as a “green project” that will have an impact on cyclic climate variations. It is my opinion that so called man-made climate change is the biggest fraud scam ever perpetrated on the whole of mankind. As for this project, what we are getting out of being Massachusetts door mat amounts to a small pile of pocket lint. The proponents are getting desperate and running scared when Hydro Quebec actually feels the need to comment in the Daily Bulldog. 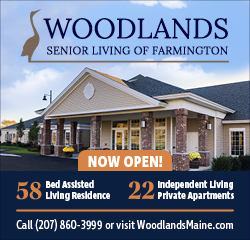 Ain't it odd that they quote the Conservation Law Foundation, which opposed this same project in New Hampshire based on environmental concerns but flip flopped when it came to Maine? Ain't it odd that CMP won't go on the record saying the project is guaranteed to reduce global greenhouse emissions? Ain't it odd that the proponents object to an independent study on green house gas reductions? But those pictures sure are purty, I was almost convinced but for the fact I know when I am being bamboozeled. I will admit it is hard to keep up with these people who are paid a salary to fool the good people of Maine, but I am going to keep on trying because our future is at stake. Ask yourself-why is it every proponent of the line stands to get rich off it? And why there is absolutely no grassroots supporters of the project, only grassroots opposition? And why pro-corridor folks claim this grassroots opposition is funded by "dark money" and must be in favor of big oil and pro-pollution? For all you folks who raised your hands in Wilton and Farmington in opposition to this project, ask your self: are you funded by "dark money" and do you love big oil and pollution? If the answer is yes, then you believe HQ's OpEd. If the answer is no, you probably understand what is going on here. What are the opponents' solutions? I know of one real smart proposal. A bill called LD-640. It would require an independent study of greenhouse gas emissions reductions from the proposed Central Maine Power Company Transmission Corridor. Your excuse for not having an independent study is just mind blowing Lynn St-Laurent. Blurred Alliances and Dark money you say? We're being swayed by that? Wait, you almost had me thinking I was in some corporate office, meeting with some real knowledgeable corporate people, who are representing corporations that stand to make millions and yes, billions on this deal. I don't know about you, but I paid for my tee-shirt. Oh, and Jimmy, I have a hard time picturing option three on your manifesto of not being able to fix climate change, but I do understand that Mother Earth shifts her axle around. And has been doing so for thousands of years so...corking cows butts might be as effective as the proposed Corridor, in the big scheme of things. Terry, quit paying CMP for your electricity, you are contributing to the filling of a corporation's pockets. Stop shopping at Walmart, that's another corporation, turn off your cable, or satellite, and internet, there is another corporation you are paying, deactivate your cellphone, there's yet another corporation, sell your vehicle it runs off gas or fuel and has lubricants, there's a few more corporations you are funding, stop buying name brand anything, there's some more corporations you are funding. Don't build anything with wood, quit using paper products, some trees were dropped to provide them to you. The whole "I'm not in favor, because of corporations." is probably the dumbest excuse in the leftist excuse rolodex. While we are not going to change the fact that the Earth has natural cycles of warming and cooling - there is scientific evidence that humans have caused the process to speed up unnaturally. Regardless of that argument - this power that Massachusetts is pushing for (Yes, Jimmy, this is at the request of Massachusetts, in their effort to go to 'clean/green' energy, without generating the power in their own protected western mountains) - I think that we should be thinking of all the different ways we could be addressing ways to be cleaner and greener, and this power line is not the answer to this. Another point: Maine is on this New England grid, but Maine does a pretty darned good job at not using more electricity than it needs, and actually exports energy. Maine uses only 8% of the total New England grid, so no, Maine doesn't need this line, MA does. There were over 40 different bids from other sources to get energy to MA. Maine, via CMP was just the 'cheap date'. Electricity is a luxury we humans enjoy, and most among us don't want to go without it, but ALL of us in the world could learn a little about conservation of it, and could work together to need less, than to just have a demand for more, no matter the cost. Again, the entire premise here is climate change. The fundamental problem is that all your electricity can already go to existing markets, and I'm not just talking about New York. Proponents always mention New York but HQ serves huge markets in Canada including Ontario and all of these existing markets are GROWING. They're going to need every last electron you can squeeze out of your dams, but you want to sell it to Massachusetts because they're offering more. 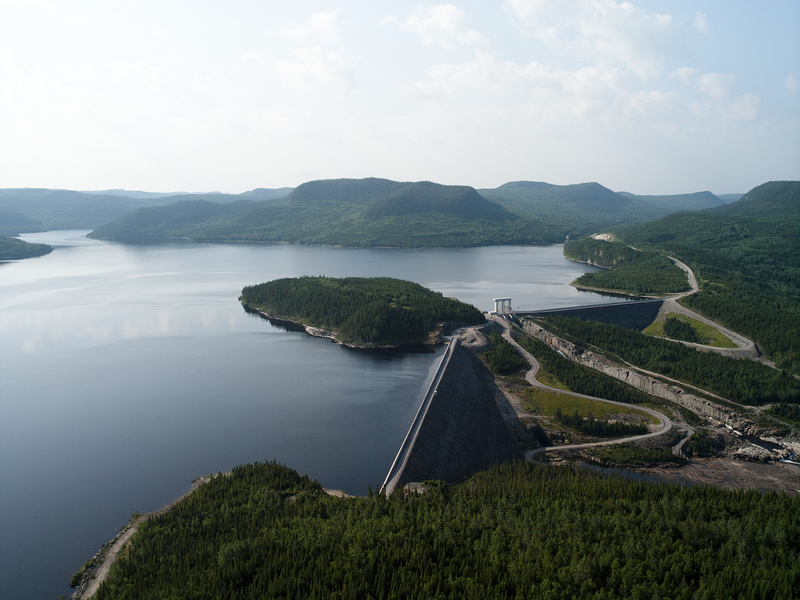 NECEC is not a necessary project for climate change, and Hydro Quebec is fully aware of that. Your existing markets are growing and Ontario just scrapped 758 renewable energy projects in favor of cheaper energy, and they will have no problem burning coal and natural gas once your supply drops and rates increase due to NECEC. None of the studies to date have been exhaustive, which they need to be if you're talking about global emissions. Why are you so scared of LD 640? Let the DEP take a look at this massively complex proposal (when it comes to greenhouse gas emissions) and serve the public it's conclusions? Solutions? Here's a few for starters: don't let CMP decide what renewable electricity is allowed into the New England grid and what isn't. We can install strategic solar farms that don't cut through our wilderness, offshore wind that is nearly constant and out of our viewsheds, and Maine can be making all the money, not Canada and Hydro Quebec. But CMP doesn't stand to gain from that nearly as much as they do through NECEC. Maine can produce massive amounts of clean energy for the New England market..but not nearly as much if we have to compete with a massive powerline filled with Canadian juice. All that money goes to Canada and Spanish owned CMP!! Let's make MAINE the producers of renewable energy for New England, in ways that preserve our wilderness and makes us the recipients of all that money, not just petty toll collectors who resent everything aboit the corridor every time we see it. The Corridor is a money making project for CMP and Hydro Quebec. Simple. You don't have to belong to any political party to figure that out. Now, Hrtless, prove that I'm wrong. I hate it when I say NO and it is not heard the first time. When people in my life can't hear my NO they sometimes resort to manipulative tactics to try to get me to change my mind. That's when it's time to stand my ground and repeat NO louder if I have to. When someone in my life tells me NO I respect it and move on to Plan B (or C, or perhaps in this case, D). Or maybe it's not to be, at all. The people have already spoken and said NO, and I believe more than once. Accept it and move on Hydro-Quebec. “If Hydro-Québec were to reduce imports into New England through other transmission lines in order to supply Massachusetts, which the contract does not prevent or penalize, the impact on New England carbon emissions could be a wash.” (https://commonwealthmagazine.org/opinion/hydro-quebecs-greenwashing-game/) (visited March 17, 2019). This statement effectively corrupts Governor Mills’ climate change benefit claim. Let’s also be reminded that Tom Saviello has called on the PUC to follow Maine State law – regulating public utilities - requiring a third-party analysis of the cost of the transmission lines as compared to the cost of alternatives. (in this case the alternative is to NOT put in transmission lines). For anyone interested one should review https://legislature.maine.gov/statutes/35-A/title35-A.pdf Maine Revised Statutes, Title 35-A: Public Utilities. I do not see that Maine PUC is following its own statutory law. Lynn could you please provide proof of the three studies done that you referred to ? It’s belpful to put such things into your article. Also tell me this, didn’t New Hampshire or Vermont aprove necessary permits for this project just at a higher cost? As for trying to curb “climate change “ when we are not one of the few countries trying to actually “fix” it I would be more inclined to spend money on such “things”. People here and abroad could help very much in an extremely cheap way. First by not relying on food from away and growing your own. Less shipping of goods from overseas as well. Instead of buying garbage that is made to be disposable like most things found in Wal Mart and any other store. People have become to dependent on useless crap in todays society. Feel free to get my email from the bd and you can come live a day in my life and see what I mean. Simple living makes more of a difference than you might think. Lastly anyone that thinks we should start getting into car charging stations and electric cars please do some research on the mines involved in producing the minerals to make these batteries. Look into the production of windmills and solar panels and how much fossil fuels are used in their production. Also remember the life span of a windmill (they never actually pay for themselves). If we really want a “green”alternative let Massachusetts start by doing it in their state. They could use the ocean current to produce power and leave our forests alone. Well written article. I guess a picture is worth a thousand words. After hearing people quote someone's editorial as scientific fact and making statements saying that because the land is so flat that hundreds of square miles were flooded only a few feet deep, I must say the pictures don't lie. Looks like a nice place for a fishing trip too. There seems to be a lot of false information floating around this issue, some of the statements like "the first year after flooding, as much CO2 was released as would have been released by a coal-fired power plant generating the same amount of electricity" is scientifically impossible. Unless carbon is burned it takes time to breakdown, it takes time for wood to rot especially under water. Sequestered carbon located in the duff layer on flat ground would form wetland marshes which are themselves a great place to sequester carbon. Why are obvious false statements like this being put out as fact? I truly think some people think this is some huge project that is somehow going to change the face of Maine. People who think that might want to get on google earth and start looking at all the power lines we already have criss crossing the state. None of which were every given a second thought by the way. This project will make an existing power line a little wider and build 50 miles of new line. WOW. The way some people are reacting you would think it was a tar road with towns along it instead of a open area (similar to a pasture) with poles in it. running through the woods. There are politics and money involved here, from both sides. Follow the money. Anyone that believes that Hydro-Quebec is in the business of making the planet greener is a fool. Energy/Utilities are in the business of making money. If there is a loop hole in the contract that will allow them to make more money by redirecting non clean energy to Mass and charge them more , they will. And do not lose sight of what is at risk ,,, the largest open areas east of the Mississippi. How many wind farms are all over Franklin County now ,, all the hill tops where wild lands a few years back ,, now cranes and tractor trailers can drive up the mountains. We are become nothing but a power plant for Massachusetts,, stop this ,, email the PUC commission, call your reps ,, tell your neighbors. This will do nothing for Maine but ruin what we have. Line Cape Cod, Block Island and the Berkshires with wind turbines, Install offshore wind farms off the MA and CT coasts, Install solar farms in the CTs old tobacco fields, Dam the Connecticut river. Reclaim the power from all the defunct industrial dams similar to what was done with Madison Paper. Those two dams are now owned by a company from New Jersey. Send the HQ power line west to feed the mills and factories that send their oil and coal pollution toward us. Ask CMP to subsidise the rafting industry as interest in a "wild" experience declines. Anyone have any other alternatives that haven't been considered? @ Greg "Line Cape Cod, Block Island and the Berkshires with wind turbines, Install offshore wind farms off the MA and CT coasts," This has actually been proposed along with tidal generators but guess who lives on the beach front property and funded the opposition mailers to such projects. I do like the way you think but unfortunately we are powerless if we don't have a family fortune. Just the way it is. I think that's why they (MA) are willing to buy power from so far away and transport it across the land of low income Americana. NIMBY is everywhere a project is proposed. This spokesperson for Hydro/Quebec may well be unaware of the incredible harm her company is doing to the world. H/Q has dammed up the "spring and fall freshets." These biannual occurrences are essential to mitigate the production of CO2. Both freshets once, before the erection of the dams by H/Q, poured cold saline-free water into the Atlantic Ocean. The difference in both temperature and saline caused some water to go deep below the other, which in turn caused motion in the water. The consequent homogenization of temperature and salinity is important to the ocean's currents and has an effect on the temperature of the land with which it comes in contact. This is gone, due to Hydro/Quebec and other huge dams built in the Northern Hemisphere. The spring freshet is important to the growth of diatoms, a basic source of food for marine life. Larger diatoms consume much more CO2 than smaller ones. However, their growth is dependent on the silica that is brought down streams and rivers and ultimately the ocean by the spring freshet. Again, the spring freshet is obliterated by the presence of the dams. Hydro/Quebec has consumed thousands of acres of trees, which also breathe in CO2. They have devastated northern Quebec. Northern Maine should not also be sacrificed so that the power produced by H/Q can be used in Massachusetts. Terry, a company wouldn't stay in business very long, if its ultimate goal was to placate people rather than turn a profit on its projects, think Starbucks and its ever famous Christmas cups, it gets flak for them every year, but do they stop selling coffee in the cups, nope because the cups cost money and tossing them out would be a waste of money. It is the whole point of capitalism, start a company, try to get rich. Cmp is a company, it is owned by a company whose goal is to make money. Want some of that money? Become a share holder AVANGRID is a publicly traded company, then when the NECEC goes in you will profit off of it too, maybe make a few thousand. Richy for those of us who love the region it does change everything. And if you follow the money it leads to Spain and Quebec. That's pretty easy to understand. A bit of science on the 'other side'. @Genie thank you for your comment. Perhaps the fisherman on the coast would like to hear this. Their lively hood has been crippled in recent years because of low shrimp counts keeping the season closed lobsters have been dwindling as well. All thanks to rising water temps and obviously lack of food. This information points to part of the reason why people are talking about rising sea levels and temp increases. Some of these pro-necec people should be ashamed of spewing falsehoods of how this will be a good “green” deal. the first part of my comment was tongue in cheek. But the idea of reclaiming the power from the hundreds of defunct dams is not. There are so many alternatives to to the corridor that should be considered. Do you ever spend time around the Kennebec Gorge? Do you trout fish? It's clear you do not understand what it takes to build a power line. I was a lineman so I've seen the clear cuts and what it takes to set poles and drag cable through pristine streams. With CMP handing out money like their doing I'm sure the construction will be far less regulated than any woods operation. While agree that climate change is an important issue I don't think Mainers should be paying the price. Getting so everywhere you look you see a windmill (Maybe be the next Maine state bird.). The only thing green about the whole thing is the money cmp special interest groups and politicians will line their wallets with. I agree with a lot of you that they who use should pay the price , let them cover the state of Massachusetts, Connecticut, and New York with solar panels and wind mills. Heaven forbid if they had to have a solar or wind farm spoiling their view from their climate controlled condo or ruining the value of their suburban home.